Select Toddler Brief 28 - 42 lbs. 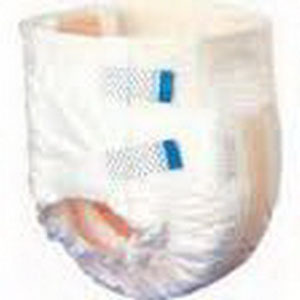 Soft and breathable sides allow free flow of air movement, maintaining healthy skin, refastenable micro-hook closure tabs make size adjustment easy, the soft, cloth-like outer cover is form fitting and comfortable, the contoured core with moisture-proof backing prevents leakage, gentle leg elastics secure without binding, Latex-free. The soft, cloth-like outer cover is form fitting and comfortable. The contoured core with moisture-proof backing prevents leakage. Gentle leg elastics secure without binding.